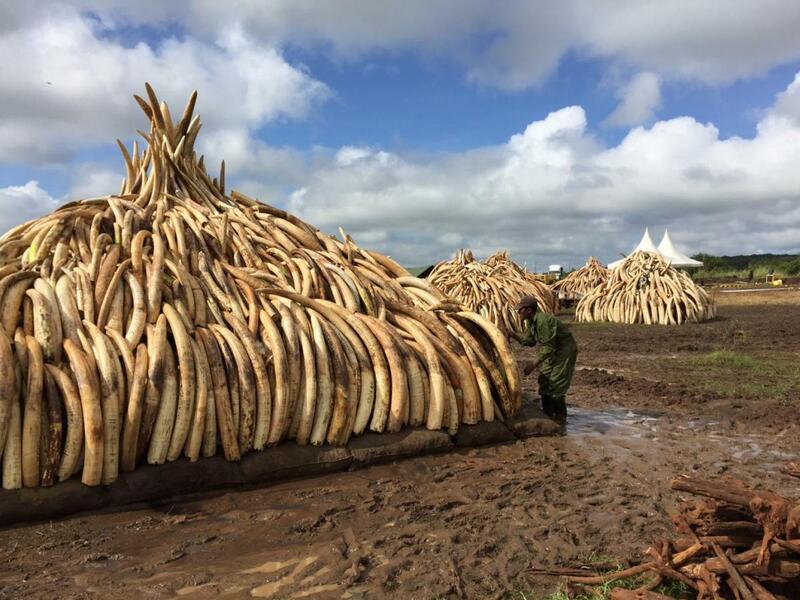 Kenya is set to burn 105 tonnes of ivory – what does CITES, the world’s wildlife trade regulator, say? Geneva, 28 April 2016: Over the past 36 months a number of countries have destroyed stockpiles of elephant ivory (and in some cases rhino horns) that have been seized and confiscated, including Belgium, Cameroon, Chad, China (including Hong Kong SAR), Czech Republic, Ethiopia, Gabon, France, Italy, Kenya, Malawi, Malaysia, Mozambique, Philippines, the Republic of Congo, Sri Lanka, the United Arab Emirates and the United States. The Secretary-General of CITES (the Convention on International Trade in Endangered Species of Wild Fauna and Flora) has been invited by national CITES authorities to witness a number of these events and has been able to accept the invitation on four occasions, namely for events held in China, in Dongguan and Hong Kong SAR, one at the Dvůr Králové Zoo, Czech Republic and most recently in Colombo, Sri Lanka. His statements made at these events are all publicly available on the CITES website. The Secretary-General has recently accepted an invitation from the national CITES authorities in Kenya to witness the burning of ivory scheduled to be held in Nairobi on 30 April. 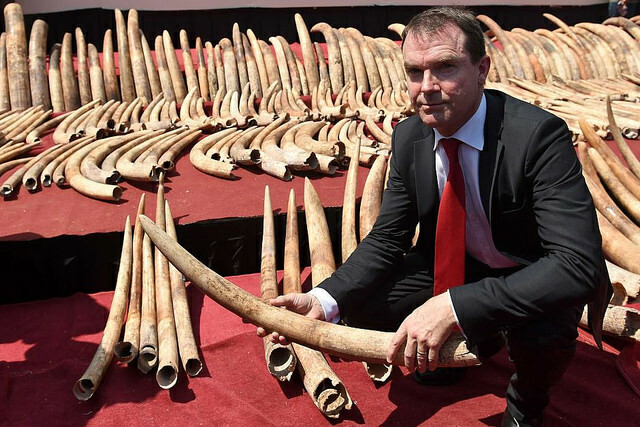 These events, and on occasion the Secretary-General’s participation in them, attract a significant amount of commentary both in favour of, and against, destroying confiscated elephant ivory and rhino horn. Some commentary on social media suggests that the Secretary-General and CITES, the international agreement that sets the rules for international trade in wildlife, may be displaying a bias through his participation in such events. The Secretary-General has previously explained his rationale for attending. The guidance provided by CITES Parties (through relevant Resolutions) is that illegally traded and confiscated elephant ivory and rhino horn (on Appendix I) should be disposed of for four purposes only, namely, ‘bona fide scientific, educational, enforcement or identification purposes’. Where this is not practicable, two options are provided (by the Resolution), namely to save the specimens in storage or to destroy them. “As Secretary-General, I do not encourage or discourage countries to choose one option or the other. This is a matter for each country to determine for itself. However, when a country takes a decision to publicly destroy its confiscated stockpiles of elephant ivory or rhino horn, I do believe it presents a unique opportunity to draw public attention to the scale, nature and devastating impacts of the serious crimes that lie behind these confiscations and to act as a deterrent to illegal trade – and that is why I have participated in such events where I can” said John E. Scanlon. Guidance agreed by CITES Parties (through Resolutions) also encourages countries to publicize information on seizures and confiscations, when appropriate, as a deterrent to illegal trade, and to inform the public about their procedures for dealing with seized and confiscated specimens. “The events I participated at in Dongguan, Hong Kong SAR, the Dvůr Králové Zoo and Colombo all attracted massive media attention – more than I have seen for any other wildlife related event. This has provided an opportunity to reach a huge audience, from global to local, and to raise awareness of the scale and impacts of illegal wildlife trade and of the increasing risks to the criminals who are behind it of being detected and severely punished, including through the use of modern forensics. The ivory burn in Nairobi will provide another opportunity to spread this message to a very wide audience” said Scanlon. “While the destruction of confiscated elephant ivory or rhino horn will not in itself stop the illegal trade in elephant ivory or rhino horn, when coupled with rigorous and consistent enforcement and demand reduction measures, it can serve as a deterrent to people from engaging in these illicit activities. In Kenya, we have seen the Government and the Parliament take major steps to bring the poaching of elephants and illegal trade in ivory to an end, which will get global coverage this week. This commitment is reflected in Kenya’s CITES National Ivory Action Plan and in January of this year the CITES Standing Committee agreed that Kenya had 'substantially achieved' the implementation of the activities outlined in its NIAP and commended it for the progress made, while also encouraging Kenya to complete the actions outlined in therein[i]” concluded Scanlon. Some of the ivory to be destroyed in Kenya is not confiscated and seized but is naturally occurring, such as through natural mortality. The Convention does not provide the same guidance to countries on naturally occurring stockpiles of ivory. The guidance provided by CITES Parties (through Resolutions) urges each country to inter alia have a comprehensive and demonstrably effective stock inventory and to maintain an inventory of government-held stockpiles of ivory and, where possible, of significant privately held stockpiles of ivory within their territory and to inform the CITES Secretariat of them annually, including the source of the ivory; and the reasons for any significant changes in the stockpile compared to the preceding year. The guidance provided by CITES on how to manage such naturally occurring stockpiles domestically is different from the very specific guidance provided for seized and confiscated ivory. The CITES rules on international trade in ivory (and rhino horn) and guidance on legal domestic trade in ivory apply to all Parties. Changes to these rules and guidance can only be made by the Conference of the Parties to CITES. The 17th meeting of the Parties to CITES – known as the World Wildlife Conference – will be held in Johannesburg, South Africa from 24 September to 5 October, 2016. The meeting will consider demand reduction, enforcement – including combating corruption and livelihoods strategies to tackle illicit trafficking in wildlife as it affects a number of CITES-listed species, including elephants, tigers, rhinos, pangolins and rosewood. The full agenda will be available in early May 2016. CITES is a legally binding agreement between 182 Parties (181 countries and the EU) that sets the international rules for regulating trade in wildlife, including on tackling illicit wildlife trafficking. It’s Parties meet every three years to review the implementation of the Convention and to set or modify the rules and guidance provided under the Convention. The Convention, among other matters, provides guidance on the disposal of confiscated wildlife and their products. This Resolution, like all others, provides interpretive guidance on the legally binding text of the Convention. However, the language used in this Resolution may not be all that clear to people who are not familiar with CITES terminology. So what does it mean in plain English? The Resolution treats Appendix I specimens very differently from those of species in Appendices II and III. The reason for doing so is because specimens of Appendix I species generally cannot enter commercial trade, whereas Appendix II and III specimens can be commercially traded if certain preconditions are met. The Resolution does allow for the commercial sale of confiscated Appendix II and III specimens under certain conditions, if the country chooses to do so. This Resolution is consistent with the Convention text, including on Appendix I specimens not (re)entering commercial trade. The guidance provided by the Resolution is that the disposal of illegally traded and confiscated elephant ivory and rhino horn should be restricted to four purposes only, namely, ‘bona fide scientific, educational, enforcement or identification purposes’. Where this is not practicable, two options are provided by the Resolution, namely to save the specimens in storage or to destroy them. The Convention does not provide the same guidance to countries on naturally occurring stockpiles of ivory. Relevant CITES Resolutions urge each country to inter alia have a comprehensive and demonstrably effective stock inventory and to maintain an inventory of government-held stockpiles of ivory and, where possible, of significant privately held stockpiles of ivory within their territory and to inform the CITES Secretariat of them annually, including the source of the ivory; and the reasons for any significant changes in the stockpile compared to the preceding year as is provided for in Resolution 10.10 e) (Rev. CoP16). The guidance provided by CITES on how to manage such naturally occurring stockpiles domestically is different from the very specific guidance provided for seized and confiscated ivory in Resolution Conf. 9.10 (Rev. CoP15). CITES and confiscated elephant ivory and rhino horn – to destroy or not destroy? John E. Scanlon, National Geographic Voices, October 20, 2014. [i] The Committee agreed that China (including Hong Kong SAR of China), Kenya, the Philippines, Thailand and Viet Nam have 'substantially achieved' the implementation of the activities outlined in their NIAPs, and commended these countries for the progress made, while also encouraging each of them to complete the actions outlined in their NIAPs. [ii] Another Resolution (Resolution Conf. 10.7 (Rev. CoP15) deals extensively with the confiscation of live animals and plants.